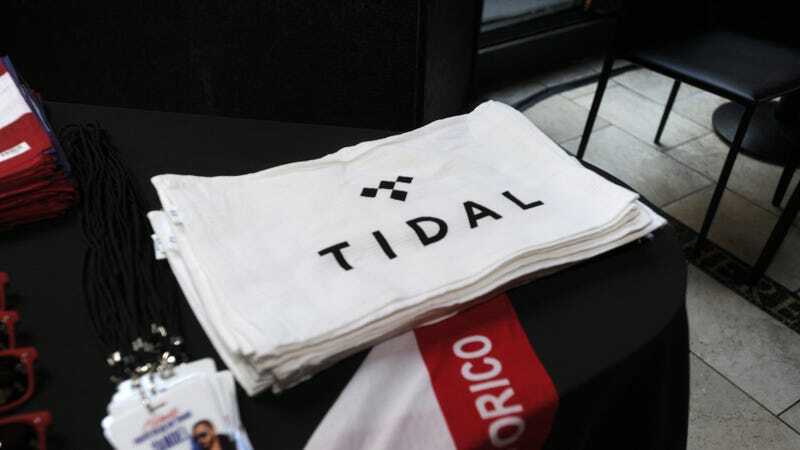 Tidal, the streaming music service that seems to have been doomed since launch, is investigating a possible data breach following allegations that the company has been artificially inflating its subscribers and streaming numbers for platform exclusives. Music Business Worldwide reported the company has enlisted the help of an “independent, third-party cyber-security firm” to look into the possibility Tidal was breached by a hacker who apparently has a vested interest in the service’s success and decided to fluff the numbers for it. The audit of the company’s cybersecurity integrity comes after a report in the Norwegian newspaper Dagens Næringsliv accused Tidal of boosting the number of listens for some albums—specifically of Kanye West’s The Life of Pablo and Beyoncé’s Lemonade, both of which were hosted exclusively on Tidal when first released. According to Tidal, which has been mostly tight-lipped about its numbers, The Life of Pablo hit 250 million listens in just 10 days and Lemonade reached 306 million streams within 15 days—huge figures for a streaming service that had just three million subscribers at the time. Dagens Næringsliv, which obtained a hard drive that purportedly contained internal data from Tidal, claimed those public numbers may be false. Our analysis also shows a significant number of system users were affected by the manipulation, which may exclude a external or user originated manipulation. As such the manipulation likely originates from within the streaming service itself.